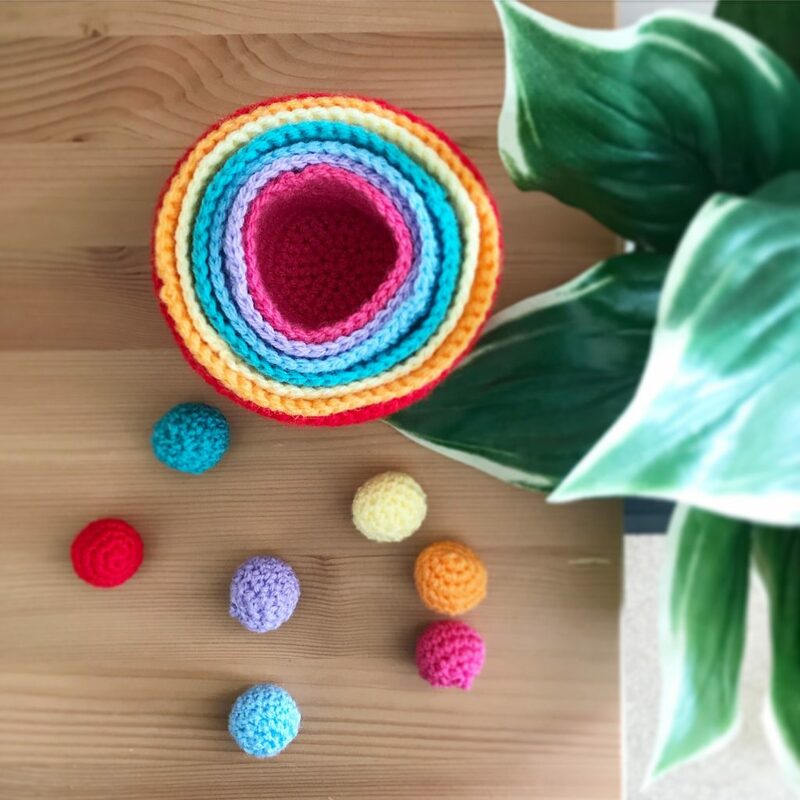 I am so please with this project making crochet rainbow baskets and balls. Look how cute they are. They’re a bit floppy and have a few flaws but I love them. And Eleanor does too. We use these baskets and balls for colour sorting and counting. My daughter also uses them to wear as slippers, to put other toys in and to throw the balls across the room. I really think they will evolve with her as she grows. Every morning since I made them she’s come into the living room after breakfast and head straight for these. She takes all the baskets out and then arranges all the balls inside them. And then she throws the balls all around the room and puts other toys in her baskets. Hey, it means it’s more open-ended right?! I recently made a small basket for her to keep some toys in and I think I’ll be making more! 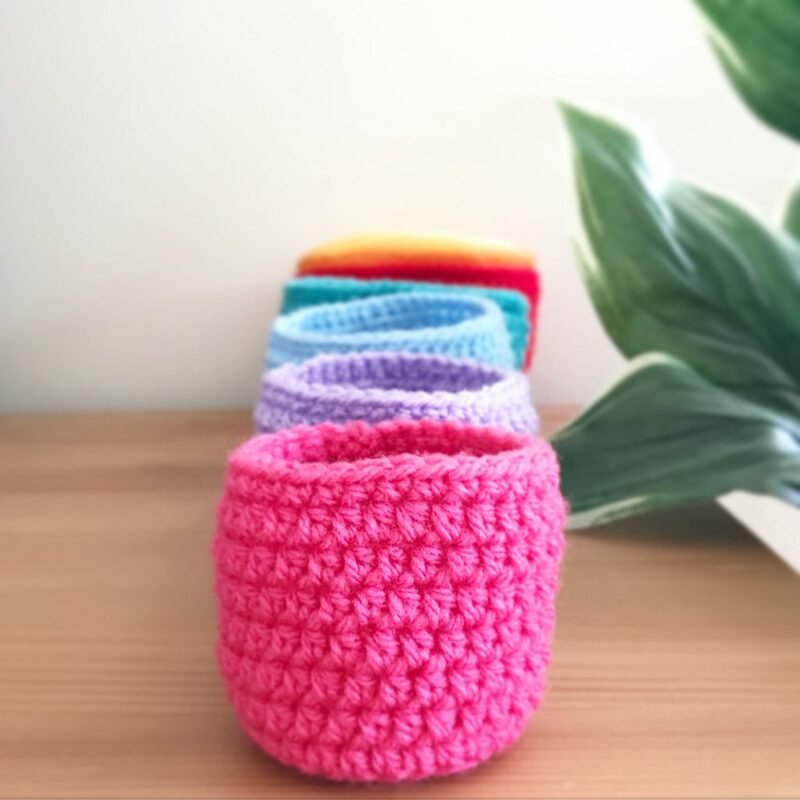 I used a pattern from ravelry for the the rainbow baskets and coloured balls and they were really easy instructions to follow. They’re in US terminology but that’s easy to switch over. I also did a double crochet (US SC) border along the top of the baskets rather than what the pattern stated.